Born out of innovation, excellent materials and cutting-edge technology, the Compact Laminate Duratop offers great value for commercial venues. 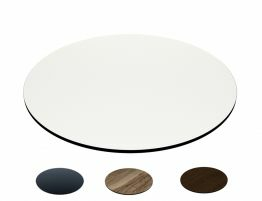 Its durable construction and sleek 12mm profile makes it a perfect table top for both indoor and outdoor applications. 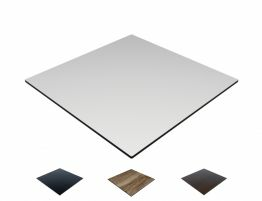 Offered in Black, Rustic Block Wood, Shesman, Wenge and White, the Compact Laminate Duratop is constructed with layers of Kraft paper, dipped in resin and dried. These layers are then sandwiched between laminated top and bottom sheets, compressed and baked. A process called polymerisation melds them all together creating a solid- core panel that is an extra tough durable laminate. Each colour is available in a range of different sizes in square, rectangle and round. The underside of each top has grooves that have been routed to be used as predrilling holes. 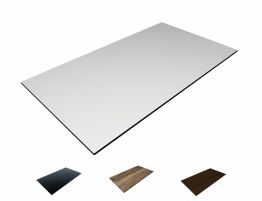 This makes installation of Compact Laminate Duratops with most table bases simple and easy.